With recent developments in open source tools and cloud infrastructure, it has become easier to build Data Engineering applications. Lean Startup methodologies and MVPs have taken over product development. But can you apply them to building an AI product? How do you solve the Catch-22 of finding the data you need to get started? How do you iterate quickly (and cheaply) to a model that creates value for customers? What is an MVP in AI? How do you keep experimenting fast while ensuring the reliability of your data pipelines? With a team size that's a rounding error at Uber or AirBnb? In this talk, we'll share some of the issues we encountered trying to apply "lean startup" techniques to the development of a pure-play ML product and the techniques and tools we used to circumvent these difficulties. 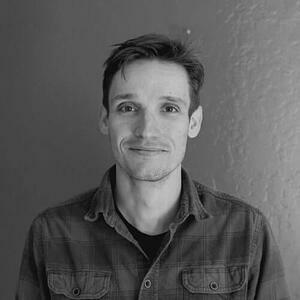 Paul is the co-founder and CTO of MadKudu, a company using Machine Learning to optimize customer journeys at scale. Prior to MadKudu, he was a Product Manager in charge of the data platform at AgilOne. For reasons that made sense at the time, Paul holds MS Degrees in Nuclear Engineering from UC Berkeley and Ecole Polytechnique.